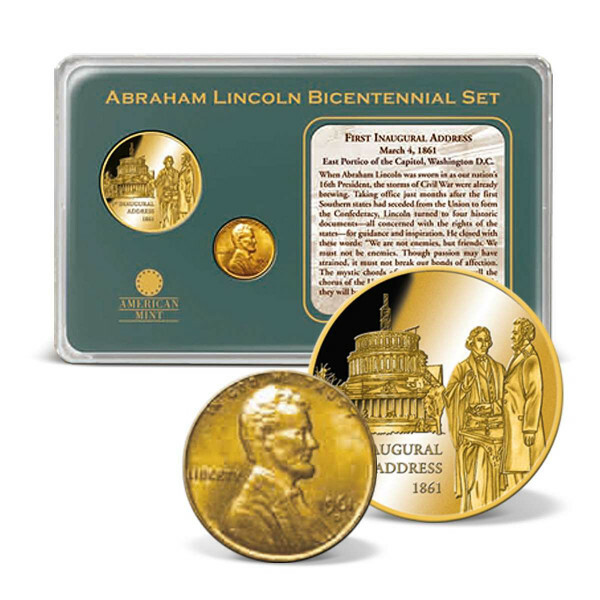 Includes a free preview of future issues in the collection Lincoln Bicentennial Coin Sets . For more information, please refer to the Satisfaction Guarantee tab below. If you do not wish to preview future issues in the collection, you may purchase the single item using the 'Individual Item Only' tab at right. Abraham Lincoln was elected as our 16th president during the most turbulent time in our nation's history. As Lincoln took the oath of office on March 4, 1861, the United States was in crisis: secession was becoming a grim reality as Jefferson Davis was inaugurated as the president of the Confederacy two weeks earlier, and civil war seemed unavoidable. There was great fear that Lincolnwould be assassinated before he could take the oath, so he traveled to the ceremony by a secret route, and Army sharpshooters were placed on the roofs of buildings all over Washington. In celebration of the 150th anniversary of Abraham Lincoln's first inauguration, American Mint has created an exclusive coin set featuring a genuine 1961 Lincoln Penny. It also includes an AMERICAN MINT EXCLUSIVE: Lincoln's 1st Inaugural Address commemorative coin. Both coins are luxuriously layered in24k gold. Limited to only 20,000 pieces worldwide, this set includes a brief description of Lincoln's historic inauguration. - 1961 Lincoln Penny: This genuine Lincoln Penny from the100th Anniversary of Lincoln's historic 1st inauguration is luxuriously layered in 24k gold and measures 19 mm in diameter (.75"). - Lincoln's 1st Inaugural Address Coin: Our Abraham Lincoln inauguration coin achieves the highest minting quality of "proof." Also luxuriously layered in 24k gold, it measures 40 mm in diameter (1.6"). The obverse shows Lincoln as he's taking the oath ofoffice before embarking on his first term as president. We've limited the production of our extraordinary Abraham Lincoln inauguration gold coin set to only 20,000 pieces  be sure to get yoursnow while the supply lasts! Here at American Mint, we strive to offer unique, high-quality products that give novice and experienced numismatists alike the opportunity to amass an amazing collection. Our experts understand the coin market and use their insight to create and assemble unique collections featuring one-of-a-kind pieces  many of which are limited editions that aren't available anywhere else. That's why so many collectors look to us first when it's time to expand their inventories. We also endeavor to make the cost of collecting affordable for everyone. We offer our Abraham Lincoln inauguration coin set for sale at a remarkably low online price. You can also get free shipping and handling if your order totals at least $150, along with the opportunity to pay in interest-free installmentswhen you spend more than $100. Buy your Lincoln inauguration coin set via our fast, secure online ordering process. 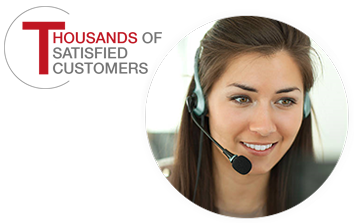 If you have questions or need assistance, feel free to give us a call Monday through Friday at 1-877-807-MINT from 8 a.m. to 8 p.m EST. We also invite you to explore our entire selection of presidential coins and other interesting collectibles, including full-color baseballs, knives, fine jewelry, and more.